CUSTODY IN OHIO IS an often misunderstood concept in family law. In theory, custody rights are a completely separate concept than visitation rights. However, the two concepts are often interrelated. Custody is simply the legal term for the legal guardian or legal custodian of a minor child. The legal custodian has the decision making rights regarding the child. Ohio has different rules for a child born during a marriage versus custody of a child born outside of a marriage. MARRIED PARENTS ARE PRESUMED to have joint custody of any minor children born during the marriage. Upon the termination of the marriage, custody of the minor children must be determined. Most courts in Ohio will allow the parents to agree on a plan, but if the parents cannot agree the decision is made by the court. The court must decide if joint, also known as shared parenting, or sole custody is in the best interest of the child. With it being such an important issue regarding your children, a skilled lawyer is almost a necessity to help you with this issue. WITH UNMARRIED PARENTS, SOLE CUSTODY of the child is automatically granted to the mother. In order for the father to obtain any type of custodial rights, he must seek court intervention. The mother and father can seek approval of an order, or the parties can litigate, in order to have a judge make the decision. 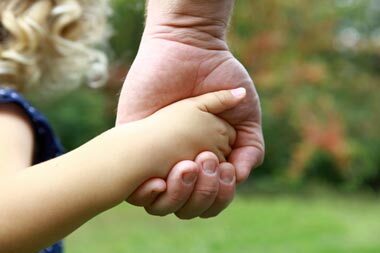 In either event, sole or joint custody are the options available. SOLE CUSTODY PROVIDES SOLE RIGHTS to the parent for which it is awarded. This means that if you are awarded sole custody of your minor child, you are the legal custodian and sole decision maker for the child while a minor. You are the sole legal guardian. Therefore, all major decisions, including medical care, will be determined by only that parent. School placement for the minor child is determined by the parent with sole custody. JOINT OR SHARED CUSTODY grants equal rights to both parents. It is commonly known as shared parenting because both parents are the legal custodian of a minor child. The parents share in decision making. Both are the legal guardian of the child while a minor. In Ohio, shared custody must be created through a document called a shared parenting plan. The shared parenting plan is basically a contract that governs all issues relating to the child. It not only addresses custody, but also every other issue like visitation and child support. Experienced attorneys should be used when drafting these complex legal documents. AN ATTORNEY OR LAWYER will explain the rules to you in great detail. You will be able to make an informed and educated decision regarding the custody arrangement of you children. The decision making rights for your children is a big deal. An experienced attorney should always be used for such an important matter in your life. Our lawyers will protect the rights of you and your children. Call today for your free telephone consultation to determine how the law firm of Barr, Jones & Associates can help you deal with custody issues in your life.